When it comes to editing audio files, the Mac offers the perfect computer platform for innumerable editing software. You can find plenty of audio editor for Mac choices that range from the free to the very expensive and each has their own unique advantages. However, before you start searching for the right music editing software for your Mac, you’ll need to know what you want, what to look for and what current audio editing software is the best for your needs. Those who use this type of software on a regular basis can be divided into two categories, commercial and consumer. For most commercial-based needs, you’ll want the best in professional audio editor Mac software that meets the needs of your studio system. The software needed will generally be expensive and geared to the task of handling large, professional projects that require many different tracks. However, it is fair to say that plenty of sound engineers use cheap or even free audio editing software to accomplish certain tasks quickly. Given that most consumer projects make demands on the limited amount of time available, it is not surprising that most people want an audio editor Mac system to be simple, straightforward and easy to use. This means that most of the work is simply recording or adding new tracks, making basic edits and putting in certain sound effects which often augments or changes the vocal track. For consumers who are looking to obtain the right audio editing software for their Mac, there are a number of considerations that need to be taken into account starting with their own particular demands. Simple or Full Featured: In essence, do you need a full-featured editing software similar to what professionals use or do you just need something that can record, edit and then share clean audio? If you are running a podcast for example, then the software itself can be quite simple in its features. formats. Compatibility: You’ll want the software to be compatible with the format in which you are recording or obtaining the tracks. For the most part audio editing software is quite adaptable, but certain types of tracks may not be compatible. So, check it out before you make your choice. Sharing Capacity: It’s very important that the editing software outputs in a format that can be shared easily. So, you will want to look for systems that are compatible with what you are using. What follows are three editing software solutions for the Mac which are relatively inexpensive, but meet the needs of most consumer and small business operations. Wondershare supports a vast range of audio formats, covering AAC, AC3, AIF, AIFF, APE, AU, FLAC, M4A, MKA, MP2, MP3, OGG, WAV, WMA etc. With a built-in recorder, you can directly record voice over from your microphone. Basic editing features such as splitting, merging, changing speed, editing pitch, changing voice etc are available. The multi-audio track allows you to add up to 3 audio tracks at a time so that you can easily add sound effects, voice over, or background music to your audio file. This editor handles uncompressed audio and supports a number of files including .AIFF, .WAV, MP2/3, .FLAC and .OGG. You can record from different inputs, employ the JACK Audio feature, monitor the volume and add a number of different effects. The good news is that this editing software is simple, straightforward and will work for many consumers who create their own broadcasts. However, it is rather limited when it comes to recording audio from your computer itself and you’ll need to add SoundFlower to accomplish that. 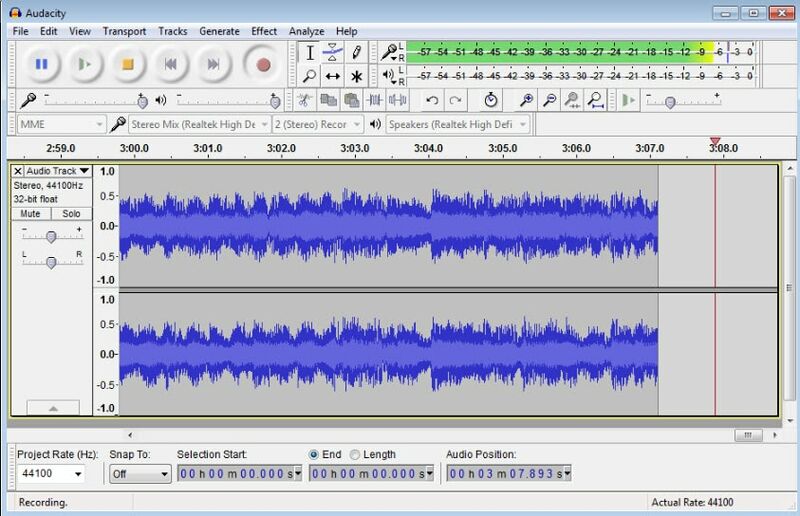 This is one of the more celebrated audio editing software systems for Mac computers as it contains a great number of tools and sound effects as well as supports a considerable number of file types. The main attribute may be how user-friendly the software system is as well as the number of different features. About the only substantial negative is that the floating toolbars used will get in the way at times when you are working on larger projects. However, a big positive is that this editing system can really clean up old, hissy audio quite well which will substantially improve your recordings. Sound Forge is an almost legendary audio editing system used by professionals and now priced for consumers. For those who want the ultimate in terms of file compatibility, features and overall quality, Sound Forge sets the standards. 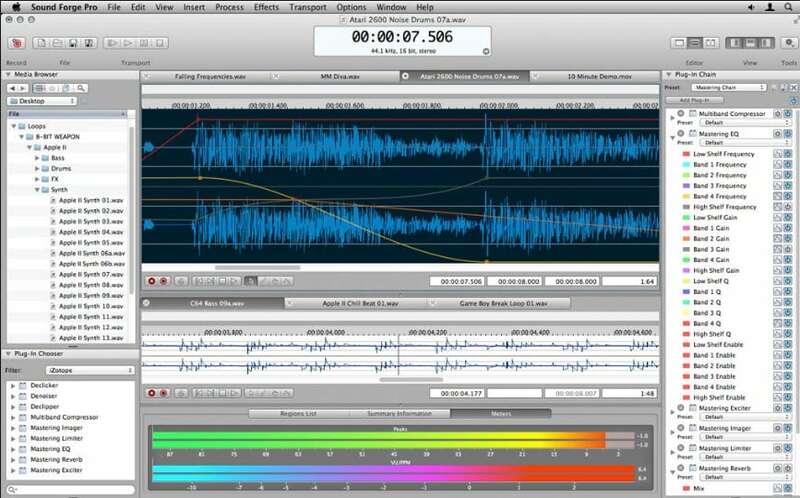 The 2.0 version is perfect for sound design projects as many different audio files can be used. About the only real negative is the price itself which will push it beyond the needs of many consumers looking for a simple, straightforward audio editor Mac system. However, if you plan on growing your current projects into something more professional and expansive, then the relatively low price of the Sound Forge Pro Mac 2 should be considered. Finding the best audio editor Mac software should start with their own particular needs and then find the product that allows them to accomplish their goals.